The injoo Max and the Max 2 plus are two cool devices from injoo with very similar features. Aside the different screen sizes and battery capacity, all other specifications are the same. The injoo Max features a 5.5inch display with a 4000mah battery capacity while the injoo Max 2 plus has a screen size of 5.5inch with a battery capacity of 4600mah. Both devices are powered by a 1.3ghz Quad Core processor and also runs on Android lollipop version 5.1. 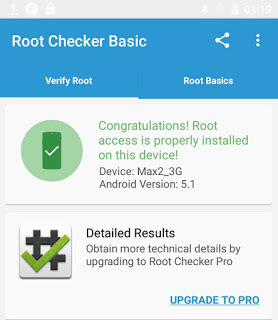 Rooting most devices running on Android version 5.1 without a pc has has always been a difficult task since there is actually no app that can perform the task. ==> InnJoo Max TWRP Ported by hovatek Download HERE.